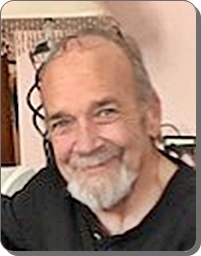 Alan R. Jarrett, aged 64, of Wyoming, entered into the arms of Jesus on Monday September 10, 2018. His son, Chad; and grandson, Cameron, preceded him in death. He will be lovingly remembered by his wife, Kathi; children, Aaron (Lisa) Jarrett, Jodi (Joshua) Gritters, Tonya (Mark) Christy; grandchildren, James, Jaxen, Jonathan, Alexis, Canyon, Ainsley, Creede; father, Bill Jarrett; sisters, Sandy (Ron) Rogers, Michelle (Larry) Campbell; and many nieces and nephews. Al was owner/operator of Jarrett Roofing for 28 years. He enjoyed hunting, fishing, and spending time with his grandkids. He will be remembered as a hard working, kind-hearted man who loved his family , the outdoors, and the Denver Broncos. Al came to know Jesus as his Lord and Savior later in life, and he has now been reunited with his son and grandson in Heaven. The family will greet visitors from 11 am to 12 noon on Monday, September 17, at Frontline Bible Church, 8283 Pfeiffer Farms Dr., SW, where the memorial service will begin at 12 noon; officiated by Rev. John Lowder. Should friends desire, contributions can be made to the American Foundation for Suicide Prevention (afsp.org) in honor of his son, Chad.